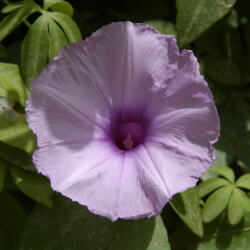 The Cairo Morning Glory grows creeping as a groundcover, trailing over edges or twining as a vine up to 5 metres high. 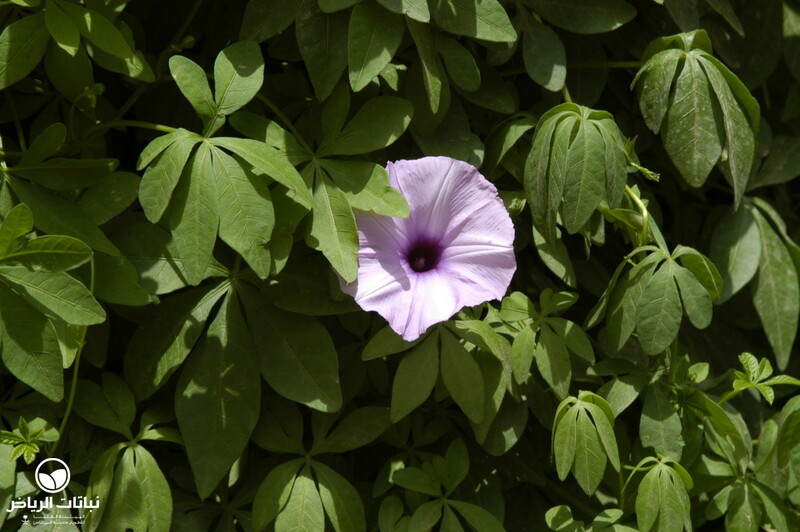 This fast grower originates from tropical Africa and Asia, where it is sometimes called Mile a Minute Vine. Its stems are glabrous and tend to root when they touch soil. 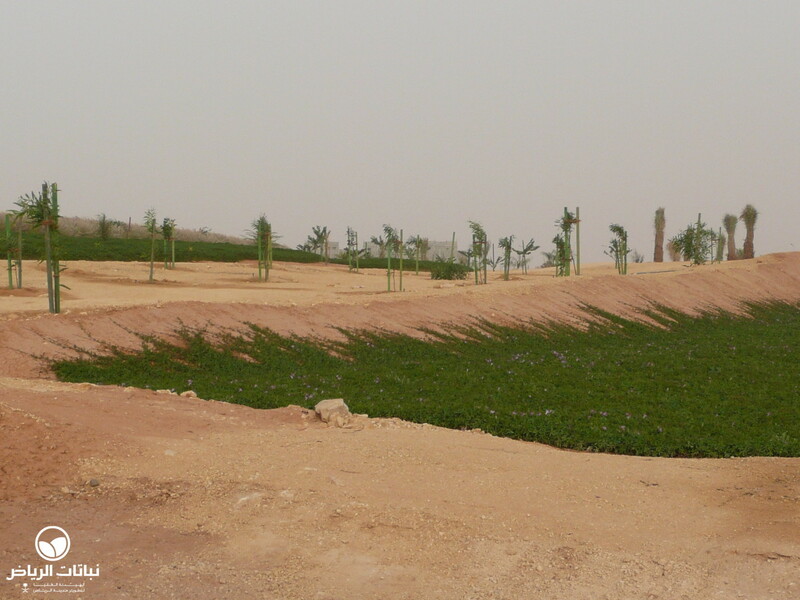 The evergreen, alternate leaves are pinnately lobed, round in shape and some 7 cm long. 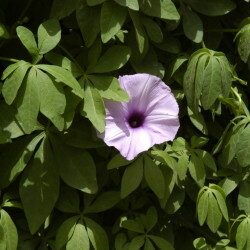 They form dense blankets spotted with many funnel-shaped flowers up to 9 cm across in purple, pink or white during summer. The fruit is a brown capsule 1 cm across with hairy seeds separated in valves. These are used for the most common way to propagate this plant and may also self-seed to naturalise on disturbed ground, preferably a moist site. Full to partial sun suits it best; however, it thrives in shade but refuses to bloom properly. 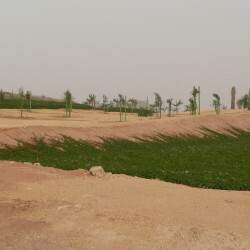 Fertile ground and occasional fertilising is welcome. 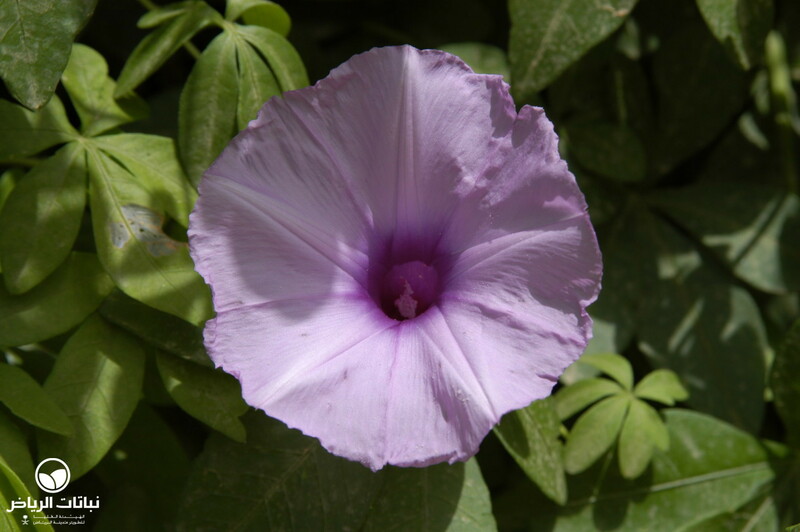 If the soil drains well, the Cairo Morning Glory grows rapidly with frequent irrigation and does not object to sprinklers. 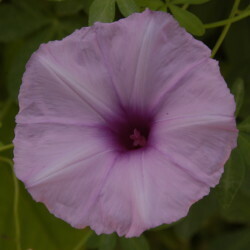 It grows tubers, from which it readily recovers if frost has killed the leaves and twigs. 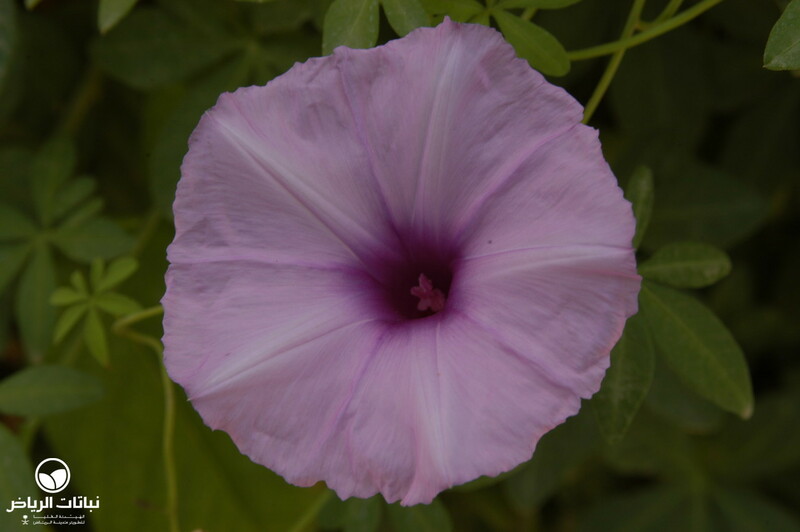 These tubers may be eaten cooked or roasted, but are not as tasty as those of its relative Sweet Potato (Ipomoea batatas). The twigs were formerly used to make ropes. 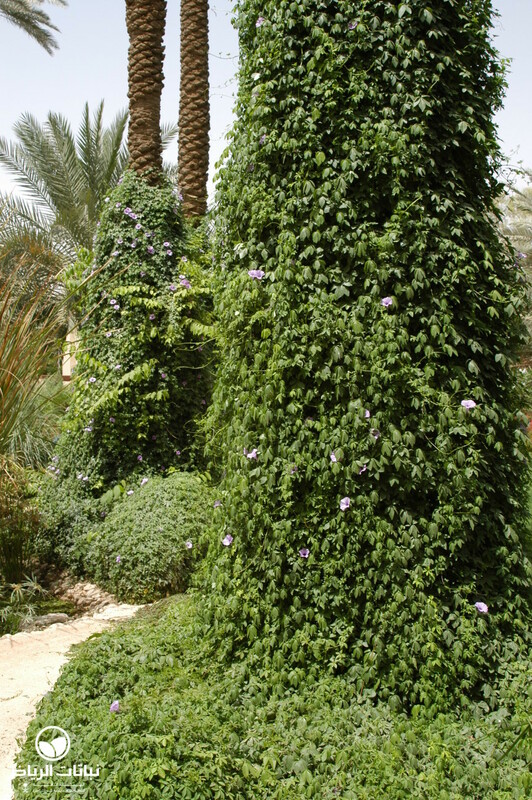 It withstands hard pruning best in early spring, but does not demand much attention if there are no slow-growing plants nearby that might be overgrown. 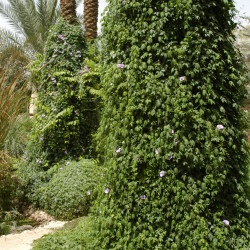 It is often seen in Arriyadh growing rampant over walls and fences.